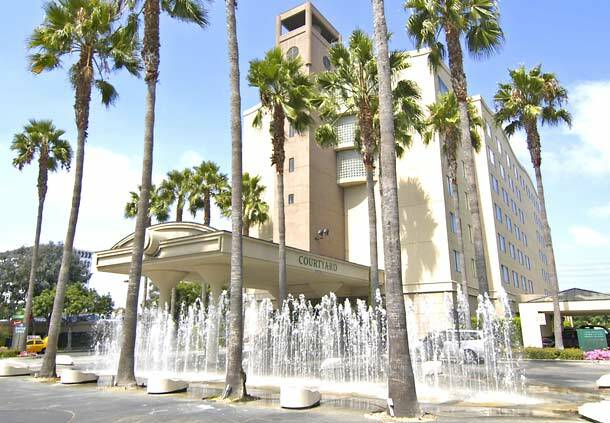 Situated just minutes away from the Los Angeles Airport is Courtyard by Marriott Los Angeles LAX, a luxurious hotel that has a one of kind design and a simple yet stylish accommodation. Over the years, this hotel has remained the choice for many jetting into Los Angeles, thanks to its unique design and most of all its location. This hotel offers a convenient access to the freeway thus making it very easy for one to visit downtown Los Angeles as well as all the famous attractions in the neighborhood while still enjoying a very nice and comfortable airport hotel experience. In addition, it’s situated close to Rodeo Drive and Beverly Hills. Known to have a great design, the Courtyard by Marriot Los Angeles LAX features well designed guests and pure rooms that are near the El Segundo Area, the Venice and Manhattan Beach. The rooms are very spacious and are air-conditioned and some of them like the Guest room has a living sitting area. This hotel recently conducted a multi-million dollar renovation project that was entirely focused on the design of their guest rooms with comfort in mind so as to ensure that their guests feel more relaxed every time they visit. It also features a great modern hotel lobby that is very spacious. At this lobby you can opt to play or simply just be productive without a care in the world. Other than the design and its location this hotel has attracted a number of people thanks to the great amenities that they offer. Some of the key amenities offered include free Wi-Fi, a fully equipped fitness center, plush beddings, a valet parking, four meeting room for those who seek to conduct meetings, a swimming pool to get you relaxed and an airport shuttle that operates 24/7. Other than the amenities, guests get to enjoy oversized guestrooms that are soundproofed. To top it all, there is a Bistro that is conveniently located inside the hotel thus making the process of dining very convenient. Depending on your preference, the Bistro offers meals on the go and even off the clock. One good thing about this Bistro, other than it is being conveniently located, is that it offers a variety of snacks and plenty of signature dishes. If you like to try out something else or just simply try out another restaurant altogether, there are a number of options available for you and the best thing about it is that they are very close. Located just a few miles away are Truxton’s American Bistro, Salt Creek Grille, Second City Bistro and the Marmalade Cafe just to mention a few. All this restaurants offer delectable meals that will satisfy your dining needs. The well maintained outdoor space also adds to the great design of this great hotel .The outdoor space features a fire pit that is perfectly situated. The outdoor space at the Courtyard by Marriot Los Angeles LAX can serve as a place where you get to relax and catch-up with friends or even make some new one as you get to enjoy its friendly environment. Courtyard by Marriott Los Angeles LAX, a luxurious hotel that has a one of kind design and a simple yet stylish accommodation.